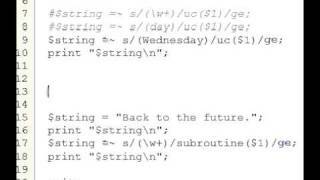 http://www.ScriptSocket.com/ Part 118 of the Perl Tutorial demonstrates the use of regular expressions backreferences to refer to previous matches, 2nd part. 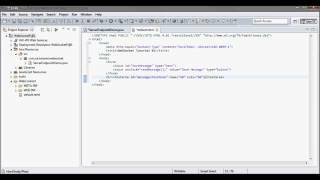 Database Scripts Generator Guide P5: Upload To Your Server And Run. 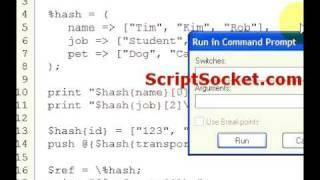 http://www.scriptsocket.com/databasescripts.php Upload to your server and run. 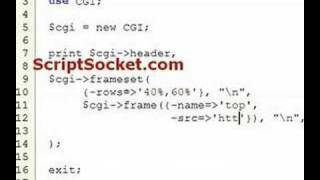 http://www.ScriptSocket.com/ Part 58 of the Perl Tutorial explores the CGI.pm module to generate a frameset and frames on the fly. 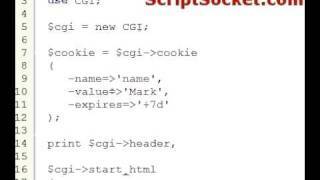 http://www.ScriptSocket.com/ Part 60 of the Perl Tutorial explores the CGI.pm module to set and read cookies. 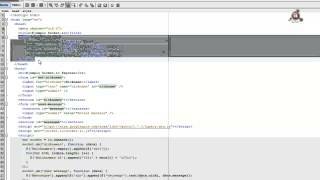 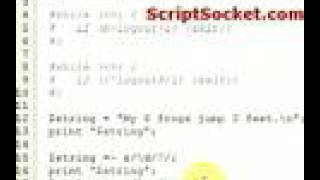 Database Scripts Generator Guide P4: Generate Scripts And Configure Variables. 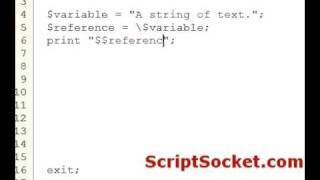 http://www.scriptsocket.com/databasescripts.php Generate scripts and configure variables. 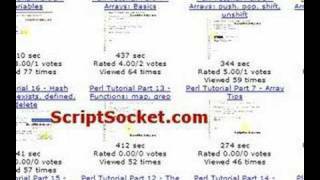 http://www.ScriptSocket.com/ Part 40 of the Perl Tutorial shows how to create and parse a simple and concise query string. 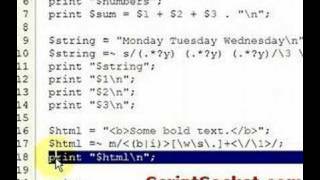 http://www.ScriptSocket.com/ Part 96 of the Perl Tutorial shows how to create and use multidimensional hashes of arrays.